I had the Logitech mouse all along and just needed the keyboard. Didn't mind the special that gave me both but I was concerned that I would have to walk around with the two connectors. I took it out and read the instructions and was so happy to find out that I could link my existing mouse to the new keyboard. Also it has a calculator key on it that I so love. I use this keyboard at work and while handling a customer I sometimes need the calculator very quickly. The button is touched and up comes the calculator which to me is a very cool feature. What I love the most is if you forget to turn off the power under the keyboard it automatically turns it off for you, which saves on the battery. This is something I definetly recommend. Keyboard and mouse work like they should. The farthest i can get away from my computer in my house is 11 yards and they still work perfectly. As for the Product specs the keyboard uses 2 AAA batteries (supplied) and the mouse uses 1 AA battery (supplied). As per the documents included with the keyboard/mouse the batteries in the keyboard will last 24 months and the mouse will last 12 months. Best overall on the market. After a fit of rage, my last keyboard met its demise! I ordered this from WalMart on Monday evening with delivery estimated for Friday... This keyboard was received on Wednesday before Christmas! Awesome job in shipment Walmart. As to the keyboard... plug and play were instant! It performs just a wired keyboard and mouse with no hiccups! Nice job Logitech!! Great wireless keyboard and mouse. The Logitech MK wireless keyboard and mouse I find is a good product. The keyboard is well planned. The mouse, M185 which was included in the package is simple to activate as well as the keyboard. 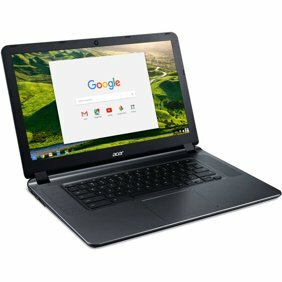 The M185 model I have used for several years with several computers and found to be reliable and comfortable to use. I like the keyboard and the feel of the keys. The websites indicated in the manuals are informative and easy to find the information that you are seeking. There is a software website which you can further activate the keys to your needs both the mouse and the keyboard. I has a little green light on the right hand side of the keyboard when you use the caps key. It goes off when you return to lower case. There are several other keys which a notice comes on screen when you use them. I hope to have long use out the keyboard and the mouse. Ordering online and shipping was outstanding as always. Very easy to set up. Mouse and keyboard requires only one USB slot. The number lock on the keyboard is not lit. Maybe to help not drain the batteries, that's included, but a notification shows up on the desktop if it is on or off. Icon on desktop shows battery charge status for both keyboard and mouse (very helpful). Mouse is very small for my hands. I reverted back to my Logitech LX 8 Cordless Laser Mouse. I would recommend if you like your present LOGITECH cordless mouse, buy the keyboard only. Overall, am happy with purchase and it is a good value. It worked for about 20 minutes on my Windows 7 computer, then stopped. I moved it to another USB port and the same thing occurred. I downloaded the the Logitech troubleshooter, but it did not even recognize that it was plugged into the PC. I returned it and ordered the Microsoft Combo unit. Easy to hook up. No software to install. The mouse and keyboard both keep cutting out. The mouse was working fine then would not respond for a few seconds. Sometimes longer. The keyboard did the same thing. Very annoying. I went back to the corded ones.